When attached to a chart, the script stops sound files that are currently being executed in the terminal. 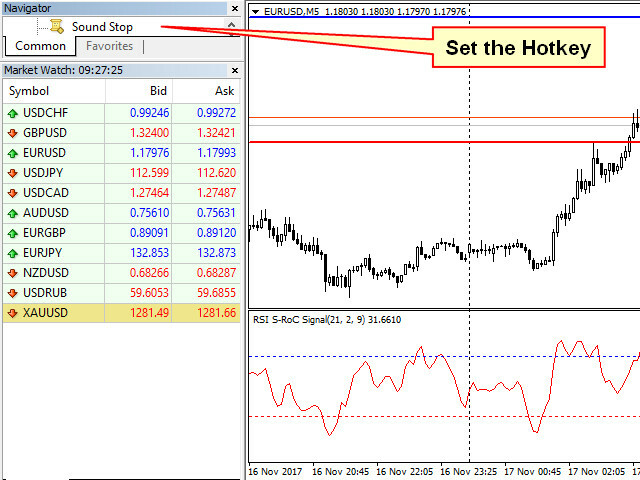 To stop a playing sound, execute the script on any open chart. For convenience, you can set a hotkey for the script and execute it at any desired time.